Dubai-based flydubai today announced that Business Class tickets are now on sale, with flights offering the premium option commencing in October. It plans to continue adding more Business Class routes across its network in the months to come. Commenting on the announcement, flydubai’s CEO, Ghaith Al Ghaith, said: “As the evolution of our passenger offering continues, we are delighted to announce that our Business Class routes are now on sale. We are also tremendously excited to be offering the Business Class experience on routes that have not had this option before with any airline, such as Bishkek, Donetsk and Juba. 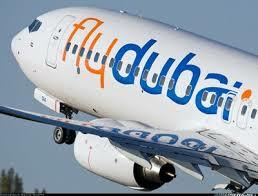 flydubai’s first flight offering Business Class will be flight FZ729 from Dubai to Kiev, departing at 0:05hrs on 8 October 2013. Other business class routes starting in October include Malé, Istanbul, Mineralnye Vody and Bucharest.